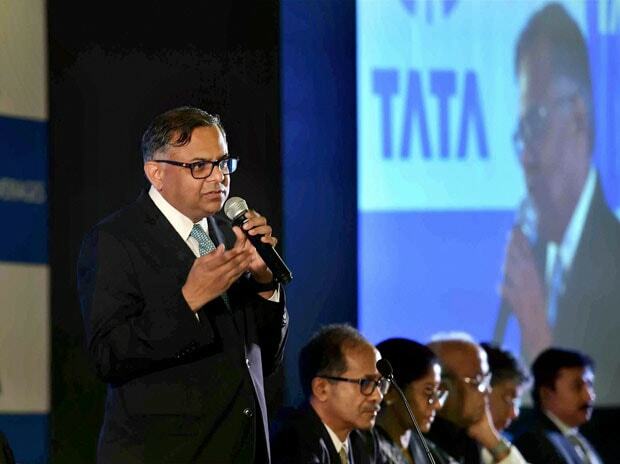 Tata Motors will focus on turning around the domestic business, particularly the CV segment which has suffered due to a challenging environment as also the company's sub-optimal execution and market misses, its Chairman N Chandrasekaran said today. Addressing shareholders of the company for the first time after taking over as Chairman, he also expressed regret over its inability to pay dividends due to losses in the domestic business and said it is working "with tremendous urgency" to deal with the matter. "Looking ahead, we expect the business environment to remain dynamic and unpredictable. Our clear focus is the turn-around of the domestic business," he said at Tata Motors' Annual General Meeting here today. In 2016-17, he said, Tata Motors' standalone gross revenues was at Rs 49,100 crore, up 3.6 per cent from the previous year. The loss after tax, on a standalone basis, was Rs 2,480 crore compared to Rs 62 crore in the previous year. Elaborating on the reasons for the dismal performance of the company's domestic business, Chandrasekaran said the commercial vehicles (CV) business faced challenging and uncertain environment due change over to the GST regime, demonetisation and "unexpected Supreme Court ruling on BS 3 to BS 4 migration". "On the other hand, the company's performance also suffered due to sub-optimal execution and market misses. We have continued to lose market share in the commercial vehicles business, reaching 44.4 per cent in March this year from a high of nearly 60 per cent, five years back," he said. Tata Motors' CV volumes have remained more or less constant at around 3,20,000 vehicles, over the past three years, while the operating costs have gone up over time, Chandrasekran added. "This has impacted the performance of the company this year," he said. 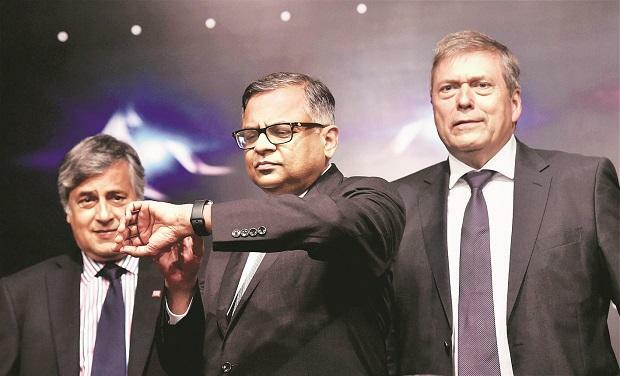 On plans to reverse the situation, Chandrasekaran said: "In CV, we are focused on ensuring that all product launches happen within our laid down timelines without any delay, changing the trajectory of our market share curve and start gaining market share, and serious cost improvement plan." The management team is working on these on a priority basis, he said, adding that the team led by Guenter Butschek is working together to deliver a strong execution led operating performance. On the passenger vehicles segment, he said the company has improved domestic market share but costs have been going up due to investment in current and future portfolio. "We are excited by the prospects of Nexon, which we will launch in September this year," Chandrasekaran said. Overall, he said, Tata Motors is "working with renewed focus to make our processes efficient and agile to be able to respond quickly to the market". "We are streamlining our end to end visibility of the supply chain. We are also focusing on accelerating the timeline of delivery of new products to the market. We are getting ready to leverage the expected market recovery," he added. On dividends, Chandrasekaran said: "I know that from a shareholder perspective it is disappointing that the company has been unable to pay a dividend in light of its significant losses in the standalone business. "I assure you that we are working with tremendous urgency in this matter and making an earnest effort to turn profitable." On the performance of Tata Motors' British arm Jaguar Land Rover (JLR), he said the UK, the US, Europe and China remained the key markets. The UK is expected to face challenges going forward due to the currency depreciation and uncertainties related to Brexit despite the country's economy doing well, securing its seventh consecutive year of growth since the recession, he said. Ousted Tata Sons chairman Cyrus Mistry on Tuesday said Tata Motors had taken a unanimous decision to discontinue production of loss-making Nano almost a year back, which, however, continues to be manufactured at a sub-scale level till date. He also alleged that "the practice of lending without adequate risk assessment" particularly in Nano and small commercial vehicle segment (SCV) caused huge NPA loss to the tune of Rs 4,000 crore to the company and Tata Motor Finance.